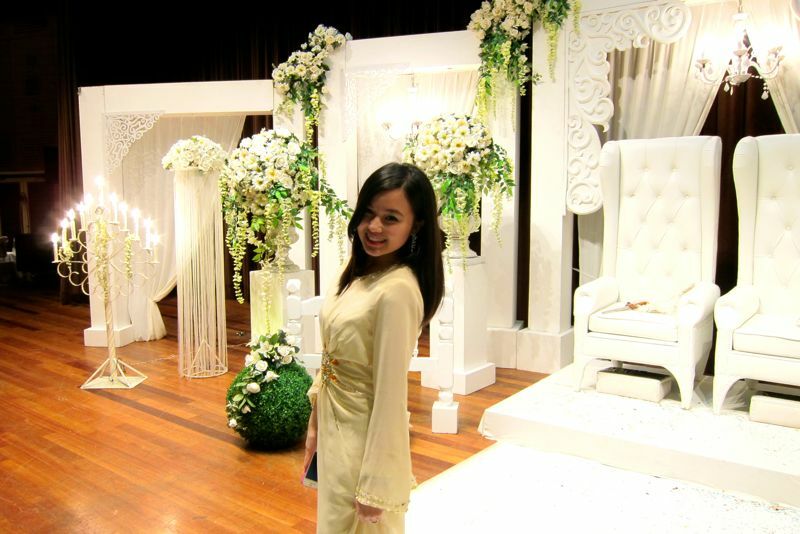 So anyway, 2 weekends ago, I was invited to attend my ex-high school + uni friend's wedding at Dewan Perdana Felda. 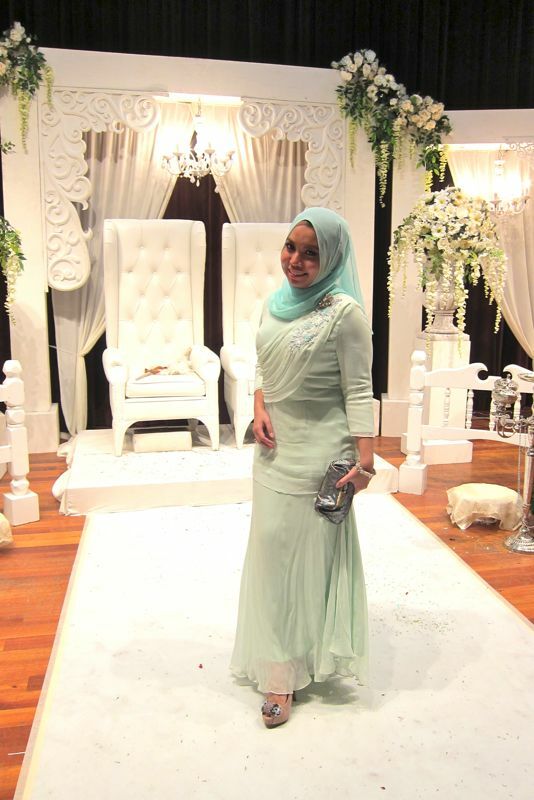 Dina looked so pretty that night! 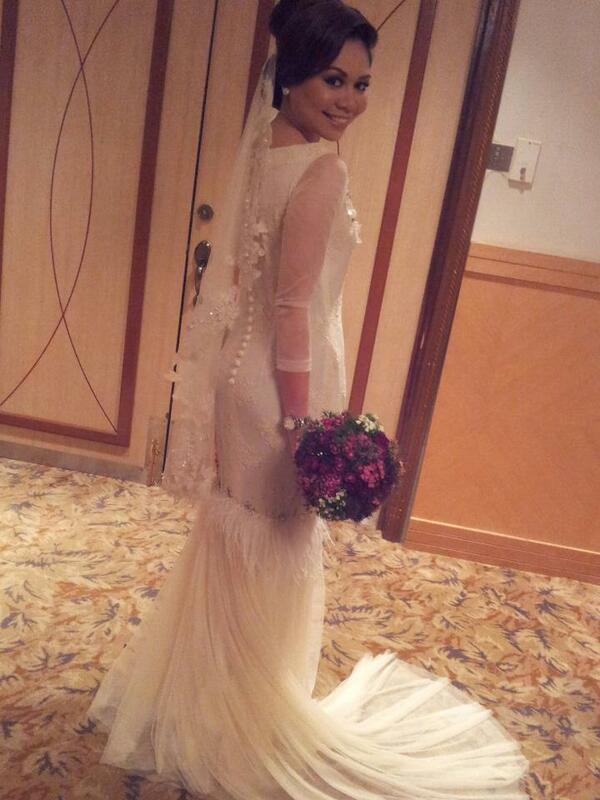 I love her dress! So elegant! Look! 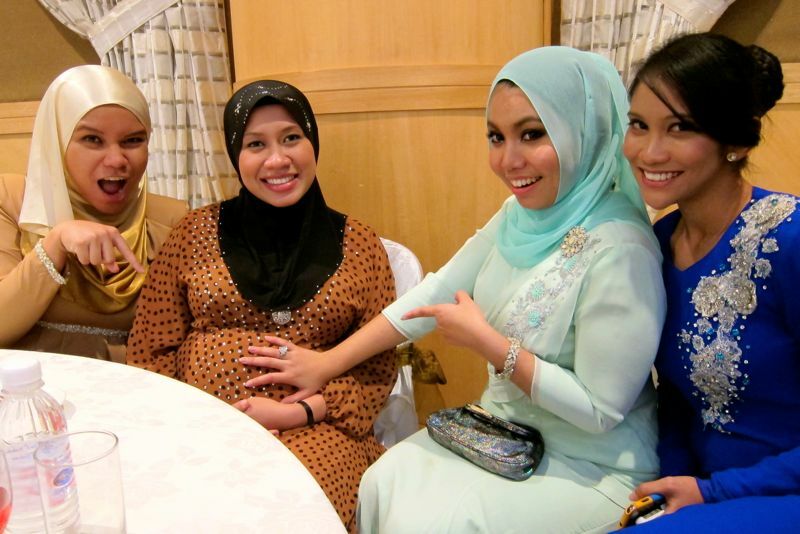 Fafa is pregnant already! 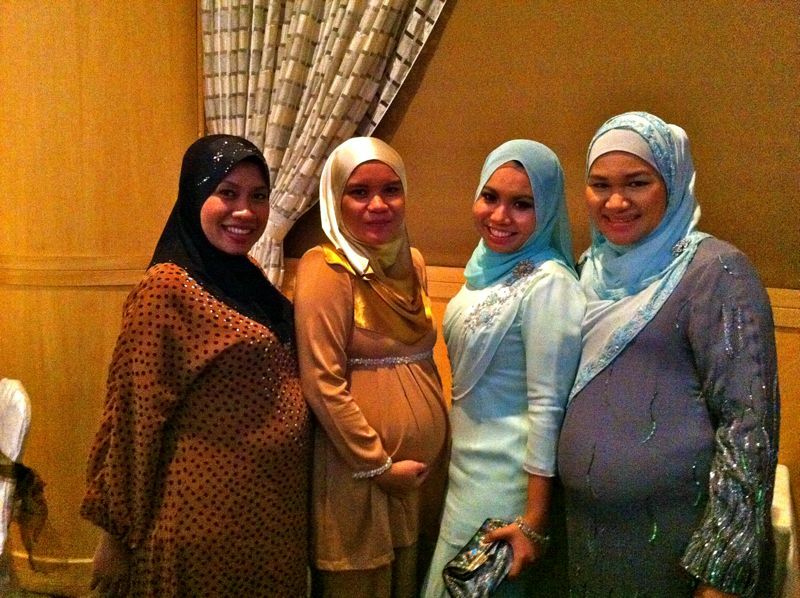 With the two gorgeous ladies...Atikk and Annur. The girl in brown is Bagutta's owner. hehe.. 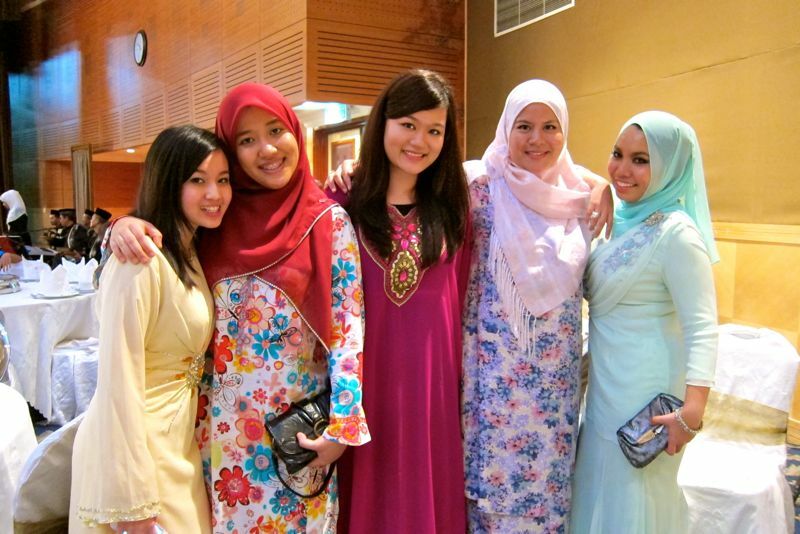 I remember, back then she always have the nicest Baju Kurung! And Annur's color is so pretty too! These are my high school friends! 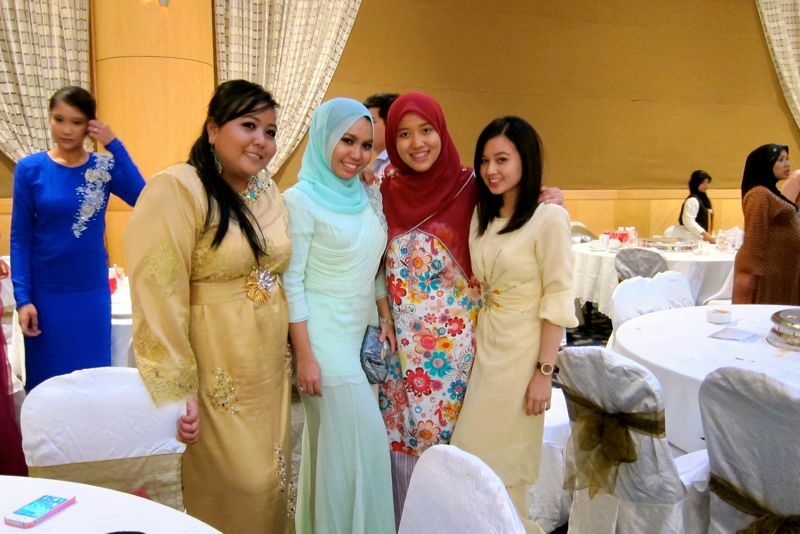 With Yanie, Aimi and Shida..
....and this girl too! Ahahah. 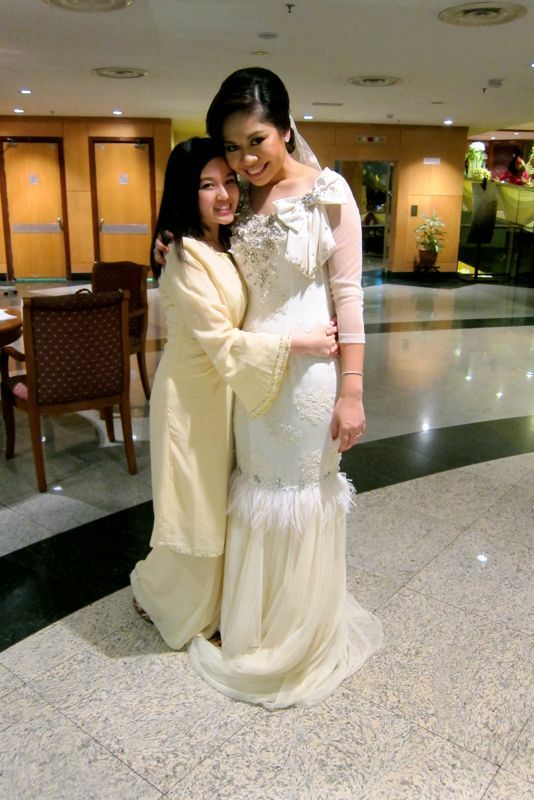 With Dina the beautiful bride! 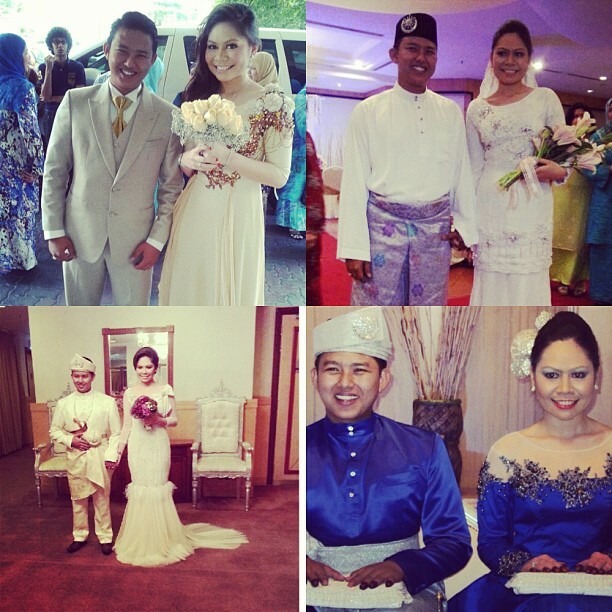 These two used to be my roommates back in UIA! been your silent reader for quite a long time and i am very much interested to ask u some things. Tho this post/ comment might not be related (at all) to this present post, but I'm not sure how else to ask you for some advice. Firstly, I'd like congratulate you for your appearance on last weekend's utusan. U look fantastic! Secondly, I need your advice on some travel matters. I'll be going to Singapore in a week or so, I need to ask you as to what are the good affordable beauty products/ things I can get in Singapore? I am very much interested to purchase some lush products, but am not sure where I should be heading in Singapore to get them. Are there any good places in Singapore to shop? i know people always do say that Singapore is a great place to shop, however, due to my recent visit in Salvatore, in which some customers in the store were passing comments on how expensive items are in Singapore as compared to Malaysia, makes me wonder even more. Further, can you suggest me any good/ romantic places in Singapore to just hang out at? 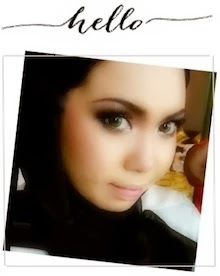 Thank you, so much Wani! You looks all good. the gown wear in royal blue color looks fantastic. You know this is my favorite color. hey! you all looks very gorgeous. But the lady in royal blue color looking fantstic> ilike this color and your gown also.